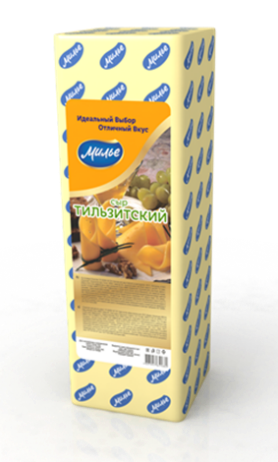 The Dairy division is represented by two separate brands covering different price ranges: Milye and Koshkinskiy Syrovar. 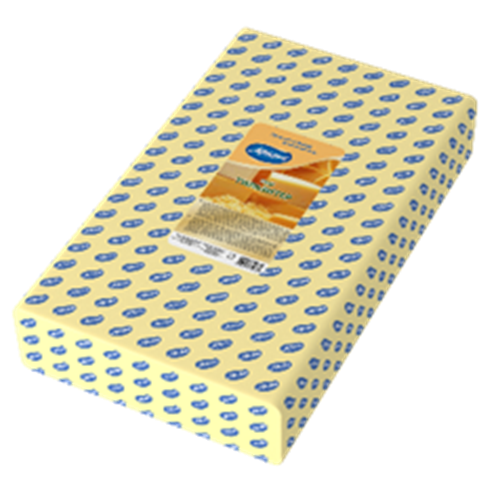 The Milye brand range includes semi-hardened cheeses in a variety of different packages, as well as butter. 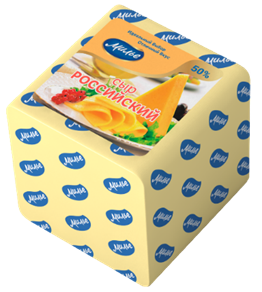 Packed cheese: 200 g and 150 g.
There is also an assortment of cheeses, each of which are made using a particular recipes, each developed individually by our researchers. These include: Solaris, Provence, Vintage, Subtle Walnut, Baked Milk, and Fruit flavours. 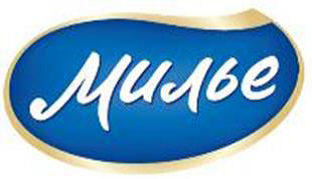 Butter is the Milye brand’s calling card. 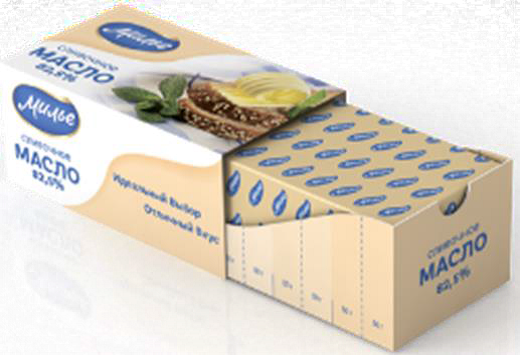 The brand’s butter offer delicate creamy flavour and aroma. 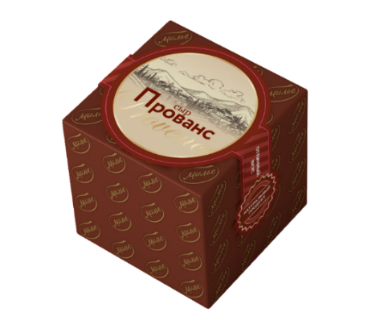 It is packaged in a convenient cardboard box made to resemble a butter dish, and which also serves as a scale for kitchen measurements. 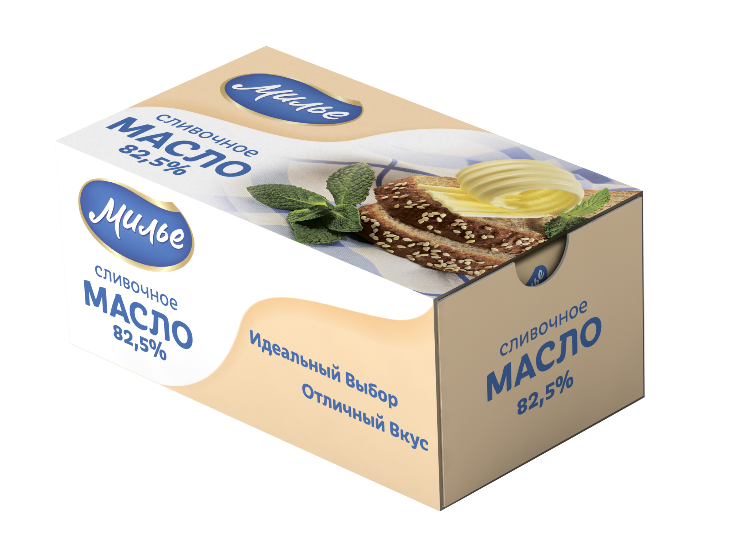 The butter’s fat content is 72.5% and 82.5%. 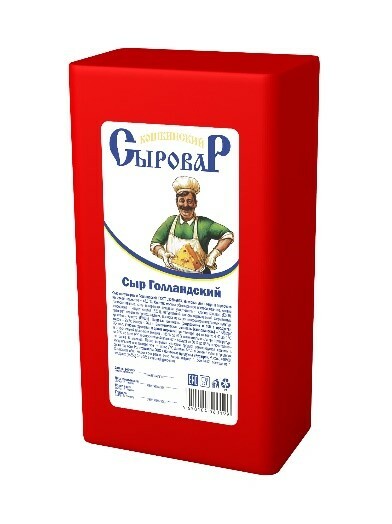 The packaging format weighs in at 180g and 400g. 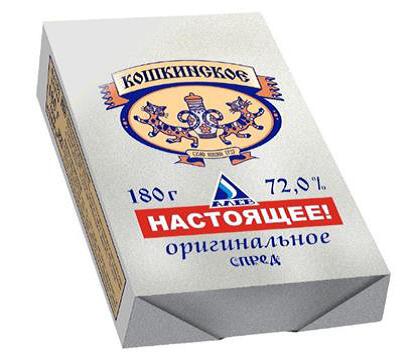 The Koshkinskiy Syrovar brand represents a number of traditional types of cheese. 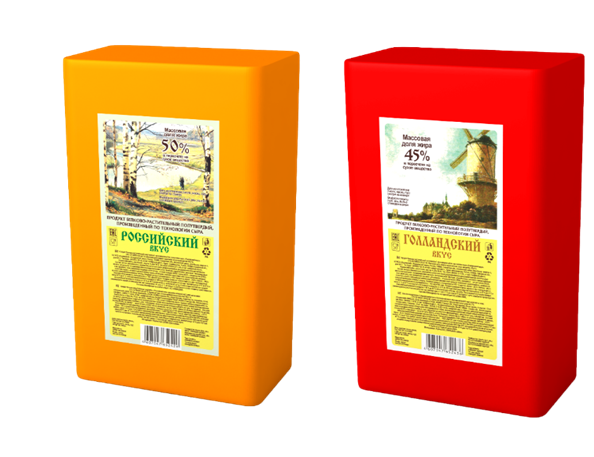 These include Russian, Dutch and Poshekhonsui cheeses in 5 kg formats, with lightweight packaging of between 250 and 300g apiece. 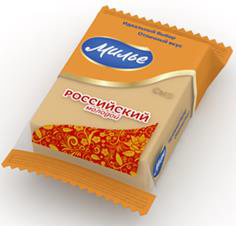 It also produces the Dutch flavour and Russian flavour cheese products. 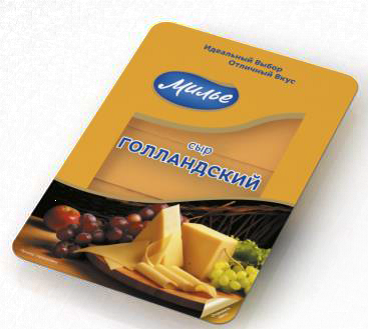 The brand also includes a spread, with a fat content of 72.5%, sold in a 180g format.